Calmex Equine is a specially blended, complementary feed designed to be fed to nervous, anxious or temperamental horses. 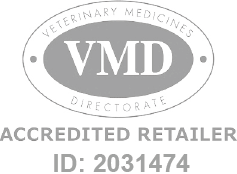 Calmex Equine - 24 x 60g is a Prescription Only Veterinary Medicine and by law requires a prescription from your vet. Calmex Equine is a non-sedating, complementary feed, which can be given to support horses suffering from either acute or chronic stress.